A reader asked me if I could recommend some places to find and purchase counseling resources. Q: "I am going to order [one of the books] you suggested Seeing Red: An Anger Management and Peacemaking Curriculum . Sounds like Marco Products is a great place to buy supplies - or is there another place you'd suggest?" A: I would recommend Amazon for purchasing resources. I have an Amazon store of books I recommend. You can visit it at: http://astore.amazon.com/school014-20. I have found that Amazon tends to be cheaper than a lot of other retailers for counseling resources. Amazon has free shipping on most orders of $25 or more. Another place to purchase great books and resources is Free Spirit Publishing. I have always been very pleased with the resources from Free Spirit Publishing. Free Spirit Publishing has free material downloads from time to time, such as book chapters or facilitator guides. Check out my blog entry about one of my FAVORITE books I use for classroom guidance, Goodbye Bully Machine. I created a bulletin board using Goodbye Bully Machine as the theme. 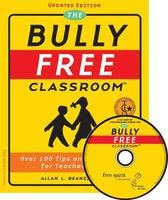 Free Spirit Publishing offers a free facilitator's guide download for Goodbye Bully Machine! Free Spirit Publishing has a Free Spirit facebook page where they offer ideas and give information about free resources and downloads. I actually won the book Real Kids, Real Stories, Real Change from Free Spirit Publishing during a Free Spirit facebook page contest. You can also follow follow Free Spirit on Twitter! Hope this gives you some ideas about where to find great counseling resources! Where do you find quality school counseling resources? Comment below, email me, tweet, or share on the School Counselor Blog Facebook Page! Black History Month Door Decorating Contest: "The Secret Olivia Told Me"
Our school is having a door decorating contest in honor of Black History Month. I am excited to participate! I think the contest is a great idea to raise awareness and to build excitement about Black History Month. I was throwing around a couple different ideas for my door decoration, but I then had an "ah-ha" moment. I happened to glance at my shelf and The Secret Olivia Told Me, a book about rumors, inspired me. The Secret Olivia Told Me received a Coretta Scott King Book Award in 2008 for the amazing illustrations by Nancy Devard. The Coretta Scott King Book Award is given to works that promote and honor the teachings of Dr. Martin Luther King, Jr., including messages of peace, nonviolent social change, and brotherhood. One of the art teachers at my school helped me make my door decoration by drawing me the silhouette featured on the front of The Secret Olivia Told Me . I covered the door in white roll paper. I then cut construction paper into fourths to make the bricks. I used red roll paper to make the balloon. The door turned out better than I expected. I am excited for students to see it. I am planning to read The Secret Olivia Told Me to students in fifth and sixth grade this coming week and do my "Rumors and Toothpaste" lesson with them. What door decorations have you done? Comment below, email me, tweet, or share on the School Counselor Blog Facebook Page!